Open up BIG savings in your inbox! Join e-VIC today and receive alerts when items that you regularly purchase are on sale. As an e-VIC member, you can also link manufacturer coupons directly onto your VIC card. Look for great new offers in your Wednesday and Friday e-VIC emails. Follow the steps below to join e-VIC today! You must have a valid VIC card in order to join e-VIC. The e-VIC item of the week is available for e-VIC members only. The discount on this item is automatically taken at the register. No coupons to clip or carry! To be eligible for next week's offer, sign up for e-VIC today! 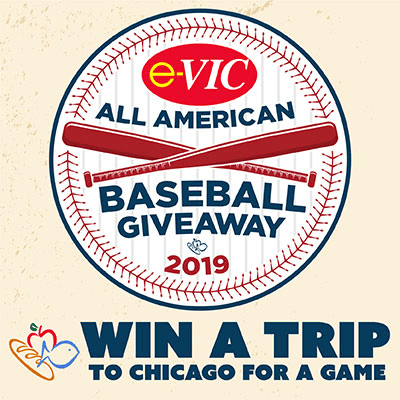 Any time between April 1st and June 30, 2019, you will be entered when you visit www.harristeeter.com and click on the e-VIC button or page and follow the steps to join Harris Teeter’s e-VIC program. Anyone registered for e-VIC, prior to June 30, 2019 will be automatically entered into this promotion. Each week, we give away at least $100 in FREE groceries to a lucky e-VIC member. Check the bottom of your e-VIC email to see if you're a winner!